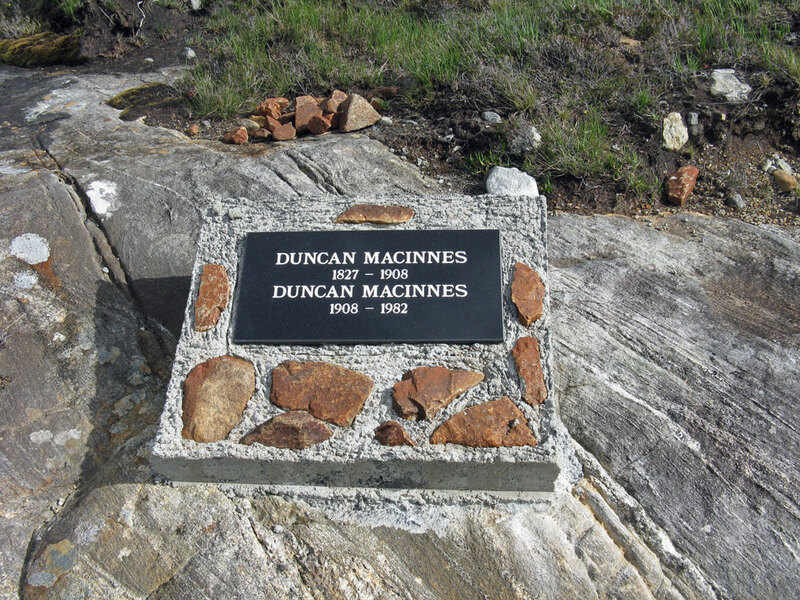 Here is a fine place to start research into family connections and to be in awe of the longevity of the two Duncans, members of the MacInnes family from 1827 – 1908 – 1982. Their presence in and around Rhenigidale has alerted the interests of at least two people in recent times. Tina MacInness was researching her family history and led what became a thread of genealogical findings. Then Marc Calhoun encountered and photographed the memorial stone pictured here. Further insights from those who know about this local family and their places of residence will be appreciated.